PBIS is an important aspect of Clemens Crossing and our students. The staff of Clemens Crossing Elementary School is committed to working with students and their families to promote a safe and nurturing environment in all school settings. What is a PBIS Program? PBIS is a behavioral support system to promote and recognize positive behavior. The program rewards students for exhibiting positive behavior. Expectations, language, and consequences concerning behavior are consistent throughout the school. The program promotes the development of intrinsic motivation. 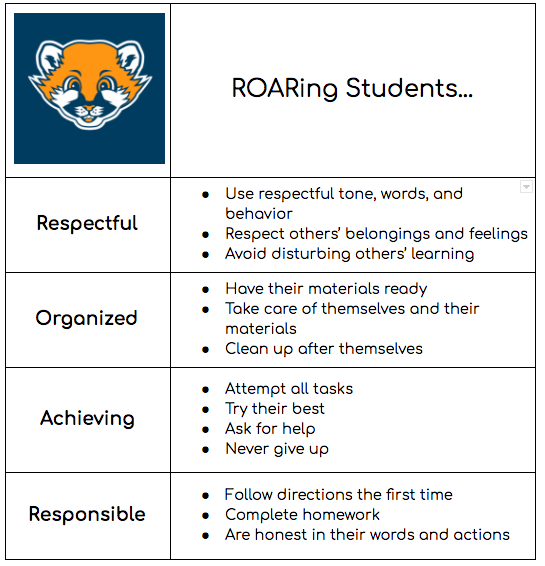 Students who are following the school rules and displaying appropriate behavior may be recognized for their efforts by receiving ROAR Tickets from any member of the school staff. Staff members distribute tickets to students to recognize their positive behavior. Once received, the students collect their tickets to trade in for various rewards. Rewards are special privileges the students can earn. A few examples are sitting in a special seat for the day, being first to pick classroom jobs, or lunch with a staff member or administrator. Students are also recognized when they earn 50, 75, and 100 ROAR tickets. At 50, they receive a certificate and have their picture taken and displayed on the bulletin board. At 75, they earn a coupon for the school store, and at 100, they earn a wristband and are recognized at a PEP rally. Students with exemplary behavior will participate in quarterly celebrations! Individual verbal warning with explanation about expected behavior. Time out in the classroom. Time out in a different classroom or the pod area. Students are given an opportunity to calm down and reflect on their behavior by completing a “Cool Out” form. Minor Incident Report (MIR) completed and sent home to parents/guardians to be signed and returned the following day. If the behavior still does not improve, an administrator will be called in to intervene. *Certain actions, such as fighting, using inappropriate language, harassment and threats warrant immediate administrative involvement. Please review the information on this page with your child. Ask your child to tell you the school rules. Ask your child to discuss ways that he or she can use these rules to help them to learn and participate at school. Ask your child how his/her behavior affects others. Discuss ways that your child can be a helpful and kind classmate. 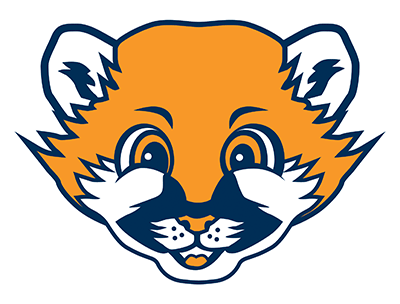 If you have any questions about our PBIS program, please ask an administrator or the school counselor.